Geethu Mohandas malayalam film actress & director lair's dice profile, biography, latest photos, birth date, filmography, personal life, career, family and interesting facts are given here. Get complete information about Geetu Mohandas actress biodata, date of birth, age, film career and awards won by her. Geetu Mohandas is a young actress and filmmaker who made an entry into the tinsel town as child artist through the 1986 malayalam movie 'Onnu Muthal Poojayam Vare'. Her second directorial venture 'Liar's Dice' has been chosen as India's entry for 2015 Academy Awards, popularly known as the Oscars. Scroll down to read more about the Geetu Mohandas, the woman with multitalented personality. Geetu Mohandas was born on 14th February 1981 to parents settled in Kannur. As her actual name is Gayathri Mohandas, she was affectionately called as Geetu by her family. After her primary classes in Chinmaya Vidyalaya, Geethu completed her Pre-University from Malaysia. Being highly talented, she won many prizes for painting during her school days. Her hobbies included swimming, playing with the computer and travelling. She adopted the name Geethu as her screen name while making her acting debut in the movie Onnu Muthal Poojyam Vare released in 1986. Being a 5 year old kid, Geethu won the hearts of the filmgoers through her acting brilliance. She later worked in En Bommukutty Ammavukku, the Tamil remake of Malayalam hit movie 'Ente Mamaatty Kuttiyammakku'. 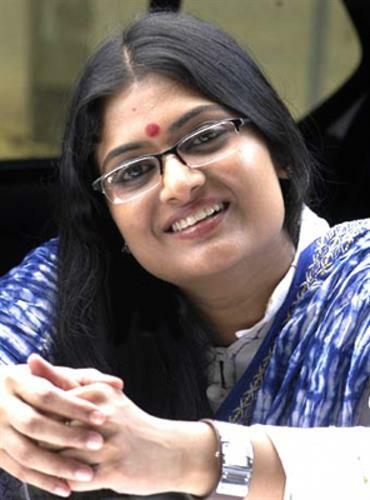 Geethu was much lucky to share screen space with Mohanlal in the movie 'Onnu muthal poojyam vare', while the lullaby 'Raree raariram raaro' sung by Venu Gopal is still popular among the music lovers. As the love between a father and a daughter was communicated through phone calls, it gave Geethu more movie offers. She later did child actress roles in Veendum, Saayam Sandhya and Rareeram. Geethu's first movie as an adult was 'Life is Beautiful which had Mohanlal and Samyukta Varma in lead. Afterwards she went on acting in Thenkashi Pattanam, Seetha Kalyanam, Vaal Kannadi, Choonda, Mullavalliyum Thenmavum, Akasha Gopuram, Nammal Thammil, Rappakal and Ullam and many others. She paired with Madhavan in Nala Damayanthi, a Tamil movie which gave her more recognition. For her majestic acting in filmmaker Shayamaprasad's 'Akale', Geetu won the Kerala State Award for Best Actress in 2004. Earlier, she won the Kerala State Award for Best Child Artist in 1986 for the movie 'Onnu Muthal Poojayam Vare'. On 14 November 2009, she got married to filmmaker Rajeev Ravi. The couple is blessed with a daughter, Aradhana. Following the steps of her husband Rajeev, a cinematographer tuned director, Geethu made a malayalam short film titled 'Kelkkunnundo'. The film was premired at several films festivals while it won the Golden Lam Tree and Best Short fiction awards. It took few more years for her to get international recognition. Geetu's second directorial venture 'Liar's Dice' which deals with the issue of the human cost of migration to metropolis and the concern of migrant labourers and their exploitation was screened at Mumbai Film Festival. The movie which had Geetanjali Thapa and Nawazuddin Siddiqui in lead got noticed at the national level. It went on to screen at Sundance Film Festival and International Film Festival Rotterdam and won a special jury award at Sofia International Film Festival. 'Liar's Dice' receive two National Film Awards including, Best Actress for Geetanjali Thapa and Best Cinematography for Rajeev Ravi at the 61st National Film Awards. The movie is India's Official Entry for the Best Foreign Language Film for the 87th Academy Awards which is scheduled to take place on 22th February 2015.